In addition to dust accumulation that can damage a computer's delicate components, computers can be unhygienic hot spots for offices. Bacteria, viruses, skin flakes, oils and grime can collect on keyboards and monitor screens. Protect two of your most important assets—your employees and your computers—with regular cleaning by ServiceMaster Clean. 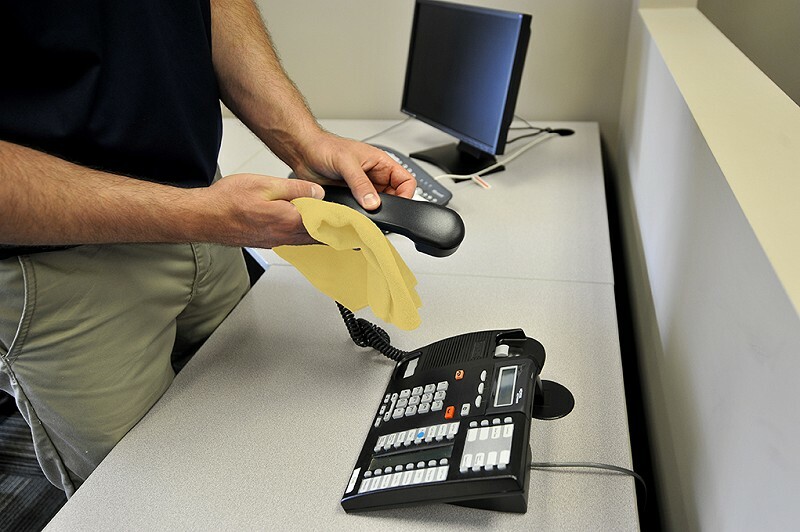 ServiceMaster Clean will work with you to provide a plan to clean computer keyboards, screens and telephone handsets to ensure all germs and bacteria are eliminated. The end result being a clean and healthy workplace for your staff. Maintaining a clean and hygienic kitchen in your place of business is imperative not only to create a good impression for staff and visitors, but more importantly, to maintain the health of employees. ServiceMaster Clean ensures all office kitchen surfaces are cleaned and sanitized, including countertops and other high-touch areas such as microwaves and refrigerators. Our window cleaning methods ensure that you get the best, streak-free results every time. Our trained and experienced window cleaning professionals use environmentally friendly products to clean all types of windows, and guarantee both windows and frames are immaculately cleaned each time. ServiceMaster Clean uses advanced industry-standard methods to clean your blinds, whether they’re made of fabric, plastic, or other materials. Our trained professionals will make sure the proper cleaning process and products are used for your particular blind type, and will also ensure that the cleaning process does not disturb the area surrounding the blinds. Although we may not always see it, dirt, dust, oils from hands, bacteria and other contaminants stick to walls, especially in offices and other commercial facilities. Unclean walls can affect occupant health, as well as the indoor air quality. 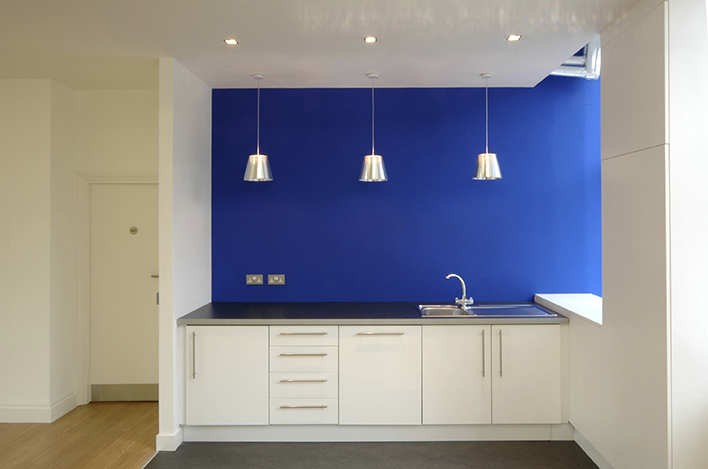 Scheduling regular wall cleaning will help to improve the appearance and overall health and sanitation in your offices. ServiceMaster Clean will thoroughly wash all office walls and remove built up grime from high touchpoint areas such as light switches, elevator door buttons and handrails, leaving your facility healthy and free from harmful contaminants. Regular wall cleaning will also extend the life of the wall paint and wallpaper. ServiceMaster Clean knows how important it is to remove dust, debris and allergens from workplace ventilation systems. When employees breathe clean, healthy air, their productivity increases, and they spend less time sick and away from work. 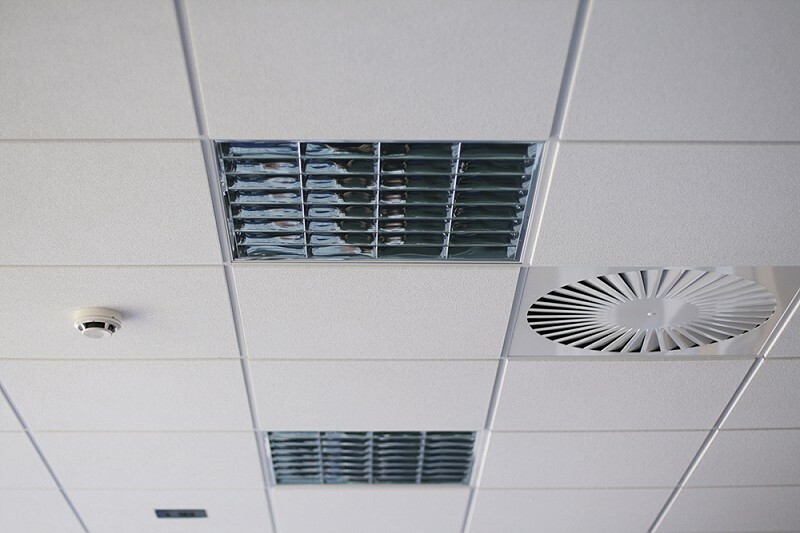 ServiceMaster Clean uses proprietary products, equipment and methods to professionally clean air ventilation systems and improve the overall indoor air quality of your business. 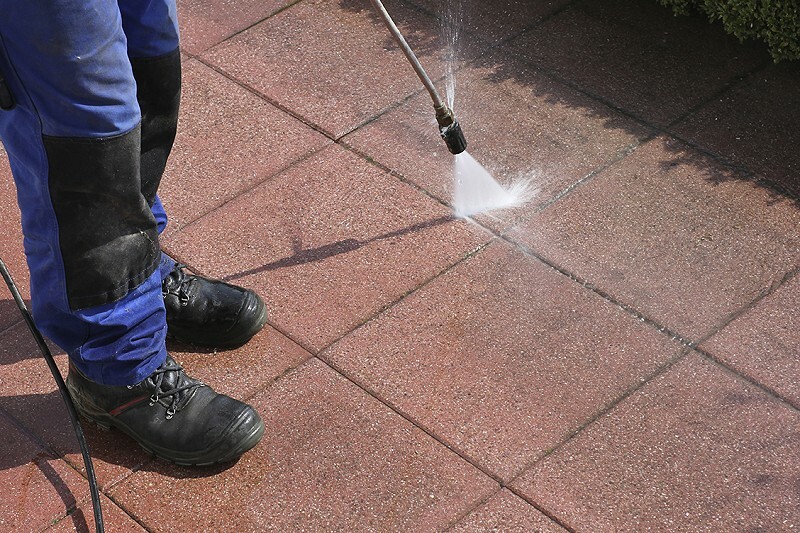 Power washing is an effective and timesaving method for cleaning building exteriors, sidewalks, pavement and parking areas. ServiceMaster Clean’s power washing service will remove accumulated grime and salt residue and leave your property looking fresh, clean and attractive. 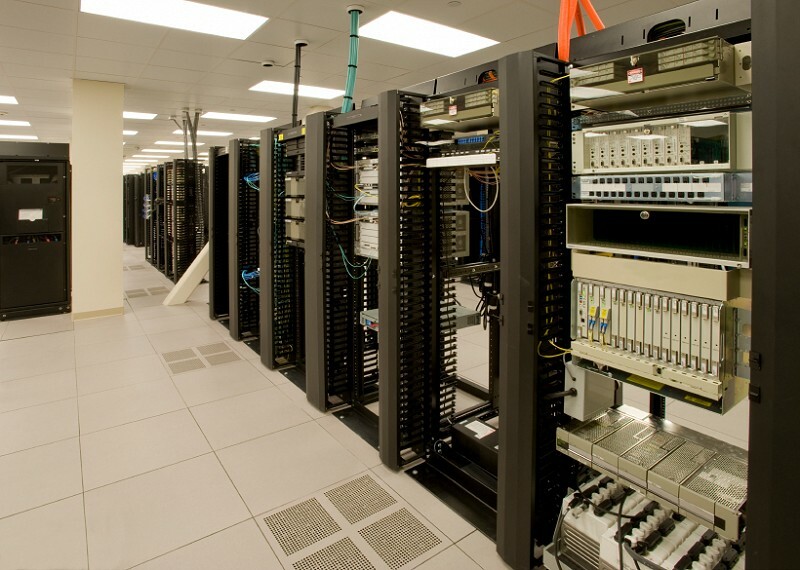 A computer room needs to be cleaned on a regularly scheduled basis. Our computer room cleaning program not only focuses on obvious places such as the tops of system cabinets and floors, we also clean underneath the raised floor areas and other dust-catching surfaces such as the ductwork and raised floor airflow panels, to ensure long life and maximum reliability of your equipment. Wood flooring can be expensive to install, but caring for it doesn’t have to be. Beautiful hardwood floors can be one of the most impressive features of an office. However, everyday wear and tear from regular foot traffic, high heel shoes and office furniture can gradually wear down and dull the appearance of your wood floors. If your hardwood floors are looking worn, having them professionally cleaned may be a less costly alternative to restoring them with sanding and refinishing. 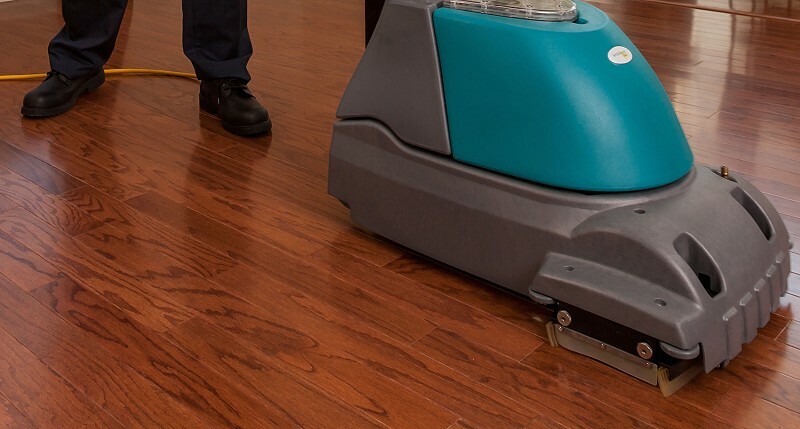 Before going through the time, expense, and inconvenience of restoration, ServiceMaster Clean can professionally clean your floors and restore them as close to their original condition as possible without refinishing. And, with an affordable regular cleaning and care program, you can rely on ServiceMaster Clean keep your hardwood floors looking their best for as long as possible. Wood furnishings are a valuable investment for your business. 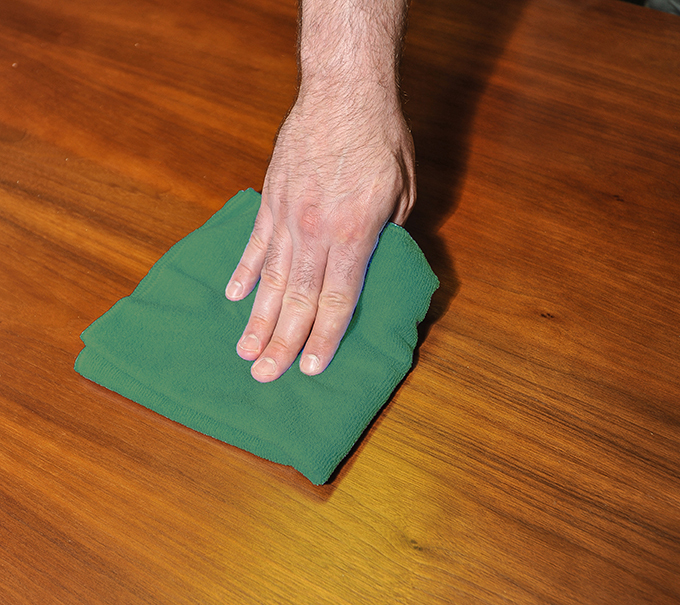 Make sure they are protected properly with the expert care of ServiceMaster Clean. Using highly developed products, processes and equipment, wood furnishings are gently, but effectively cleaned and preserved, ensuring lasting beauty and a professional clean appearance. Professional upholstery cleaning is just pennies compared to the cost of replacing worn office furniture that hasn’t been maintained. Call ServiceMaster Clean to get an estimate from one of our professionals. Will the changeover to ServiceMaster Clean be smooth?